Using home remedies whenever possible is always a good idea and for conditions like eczema it is vital if you are sick of forking out money for products that don’t even work. There are many bogus products that claim to cure eczema on the shelves of drug stores however sometimes the best treatments are simple ingredients you probably already have in your kitchen. 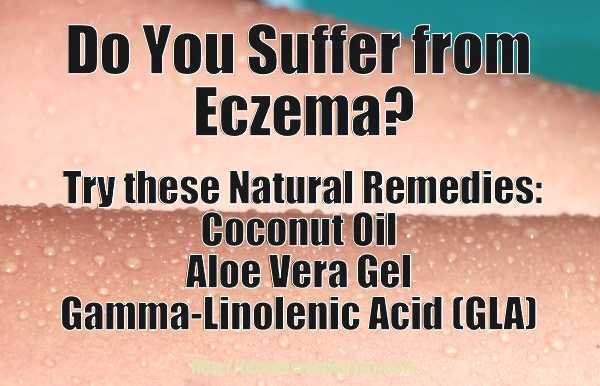 Read on to learn about this disease and some known natural remedies for eczema which have proven effective for many people. Eczema can be a slow, lingering torture. Relentless itching, combined with opportunistic infections that take hold when scratching causes breaks in the skin, can seriously diminish quality of life, making even sleeping difficult. There is no cure for eczema, but there are many things you can do at home to manage the symptoms. We’ll start by taking a look at what eczema is, what the symptoms are, which complications you need to watch out for, and what natural remedies for eczema there are available that help. Mayo Clinic in the U.S. defines eczema (atopic dermatitis) as an itchy inflammation of the skin. It’s a chronic condition, but it tends to disappear – for months or even years – and then flare up again. Other people seem to never get a break from their eczema symptoms. There are three different types of eczema, namely; Irritant Contact Eczema, Allergic Contact Eczema and Atopic Eczema. Irritant Contact Eczema affects people whose jobs entail constant exposure to irritant substances such as detergents. As such, the repeated use of such chemicals leads to the onset of predominantly eczema on the hands. Allergic Contact Eczema affects people who come into contact with chemicals which they are allergic to. 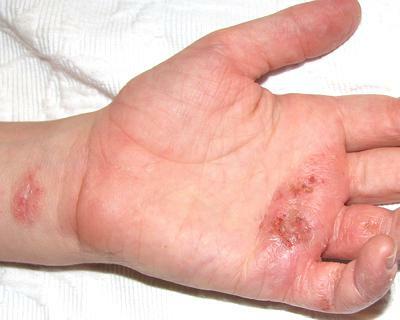 This type of eczema results from repeated exposure to specific substances. However, unlike the Irritant Contact Eczema, it only affects people who are genetically disposed to such reactions. Identifying the exact cause of this type of eczema can be difficult, since the reaction is not immediate. Atopic Eczema is the most common type of eczema, and usually affects people with a genetic inclination to allergic reactions on their skins. Eczema on hands is a broad term that encompasses the different types of eczema that develop on the hands. The symptoms of hand eczema depend on the severity, and range from intense itching, cracks, blisters to lesions. Although the condition is not contagious, it seriously affects peoples self-esteem, working ability and social lives. Eczema treatment is determined by the type of hand eczema, thus a proper diagnosis of ones condition is necessary. See the three types of eczema above if you are one who has eczema of the hands. It’s important to try to identify your own triggers. That gives you a valuable tool in stopping flare-ups before they start. Skin that is red, raw, and inflamed from scratching. Eczema can have serious effects on your quality of life, mainly from itching, stress, and lack of sleep. But you can experience physical complications, too. This usually happen when skin is broken from scratching; that provides an easy opening for the bacteria that normally live on your skin or in the environment. The resulting infection (often impetiginization or impetigo) usually requires antibiotic treatment. Another potential complication is permanent skin damage from scratching. Neurodermatitis occurs when prolonged scratching results in patches of skin that are thick and leathery. Excessive scratching can also cause permanent scarring. When eczema attacks the skin around the eyes, the constant rubbing and itching can lead to inflammation of the eyelids or their linings. Red flags include red, watery eyes. Don’t bathe and shower every day. 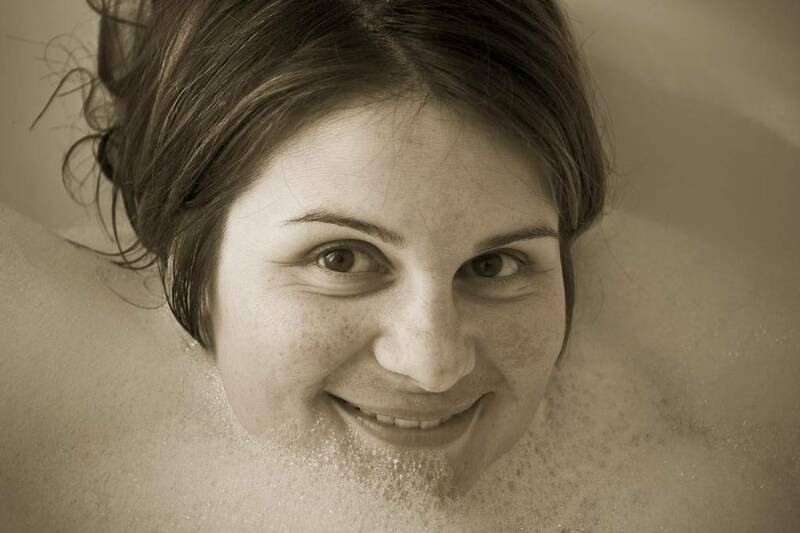 Frequent bathing just dries your skin out even more. Try bathing every other instead. Use plain water where you can, and, for the parts of your body that need soap, use a mild dye-free, fragrance-free product. Dry yourself carefully. Try to pat, not rub. Use moisturizer to add a protective layer to your skin. Use an over-the-counter hydrocortisone cream on affected areas. Consider adding a bandage to keep the area moist and to make scratching more difficult. An over-the-counter antihistamine (like diphenhydramine) may help reduce the severity of a flare up. Wear lightweight cotton clothing that doesn’t chafe or bind. Try to identify triggers so you can avoid them. Common triggers include harsh soaps or detergents, wool, rapid changes in temperature, stress, and sweating. The first step in eczema treatment is to consult a physician, in order to establish the type of eczema that one is suffering from. Failure to have a proper diagnosis and treatment may cause the condition to become chronic, which can seriously affect ones daily functioning. Depending on the diagnosis, one may need to make lifestyle changes, in order to avoid contact with chemicals that cause eczema. Regardless of the type of eczema that one is suffering from, this is necessary in order to facilitate treatment. Finding an accurate treatment for eczema is a bit difficult as this skin disorder doesn’t have any clearly defined cures. This is because different eczematous victims exhibit varied reactions to mainstream eczema treatments. However eczema is curable. 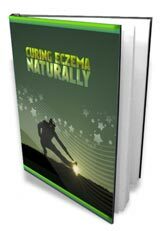 Though eczema has a wide variety of commercial products as well as medical treatment options, nature has a full range of products that provide many at home homeopathic and herbal remedies. Some of the recommended treatment options for eczema on hands are allergy medications and antihistamines. Symptoms such as inflammation, itching and swelling mainly result from allergic reactions, thus the use of these medications eliminates the symptoms. Other forms of eczema treatment are emollients and topical creams, which help to sooth the hands. 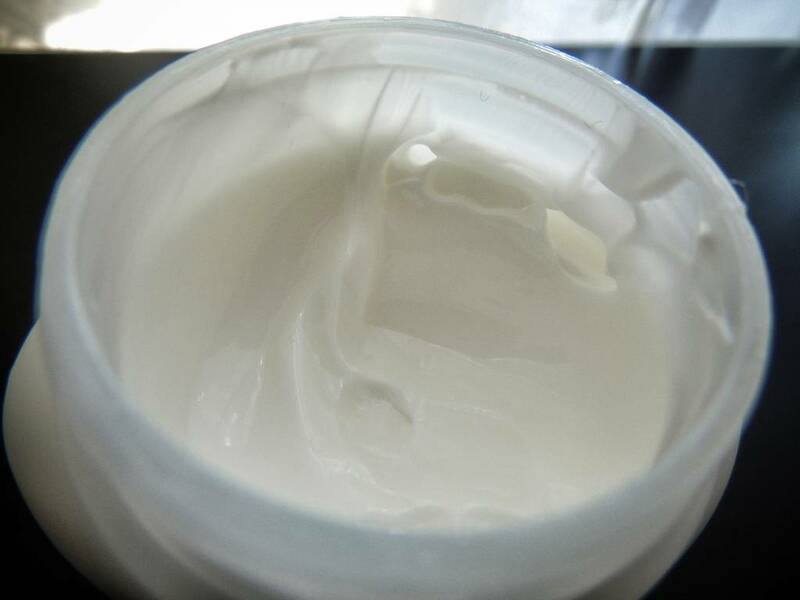 Petroleum jelly is an example of an emollient, which manages some symptoms of eczema such cracking and dryness. However, always try to use something natural. Coconut oil and Aloe Vera gel has been used effectively for eczema and this along with homeopathic methods is what we would recommend. You can also take gamma-linolenic acid (GLA) which is in evening primrose oil, black currant oil and borage oil. Herbal therapy has been one major mainstay of alternative treatment methods for eczema. This is through the use of products such as topical, teas, tinctures or infusions. Some of these home remedies have been used to directly treat the skin, while others have been useful in relieving stress, calming effects or cleansing of kidneys and the bowel in response to eczema. One of the major significant aspects that should be considered in any eczema remedy is keeping the skin moisturized and hydrated at all times. There are a wide range of herbal commercial products that are manufactured to serve this purpose. However, most of them lack some of the natural properties that are useful in the treatment of eczema as most of these properties are lost during the refinement process. In this regard, victims of eczema are advised to seek virgin-unrefined- varieties of the natural ingredients that are used in the manufacture of most of these products. For instance, oils such as unrefined (virgin) coconut oil are believed to be a very effective home remedy that not only cures eczema but also takes care of many other skin conditions. Virgin coconut oils healing effects are attributed to some of the natural properties contained in the oil such as lauric acid as well as other fatty acids. Mother’s milk is believed to be the only other source of lauric acid. When applied over an eczema infected skin such as hand eczema, coconut oil helps to keep the skin soft and smooth hence reducing eczema effects. Lots of eczema suffering folk say that this soothing moisturizer works a lot better than most of the over-priced creams you can buy. Coconut oil may be found on the internet, in health food shops and in many supermarkets. Gently rub this oil over the areas where eczema is and let it really get into the skin. Burdock: Another home remedy for eczema is burdock. Burdock helps in cleansing the entire body system through promoting toxins excretion through bowel and urine. This promotes the healing of many skin conditions such as eczema as toxins are believed to be one of the major eczema causes. Consuming 4 ml of burdock tincture three times in a day can produce considerable results. Calendula: Calendula ointment, compresses or tea are also other alternative remedies for which can be used to treat eczema. These products have been found to relieve blistering, flaking and itching on the skin of an eczema infected person especially if the skin is dry. Chamomile: Chamomile tea has a calming and soothing effect and is great when taken before one retires to bed as it promotes rest from the stress and irritation from eczema. Chamomile cream can also be applied topically and is known to have a very soothing as well as anti-inflammatory effect. Chickweed: Cheek weed is known to be very effective in helping sooth the skin that is itching from eczema. Treating your bath water with a tablespoonful of chickweed oil is as effective in relieving the symptoms of eczema as using chickweed ointment, cream or infusion. Goldenseal Powder: Goldenseal powder is very effective in relieving eczema symptoms. It should be mixed with honey and then eaten or else mixed with warm water and then spread on the affected part of the skin. Red Clover: Red clover is also another effective home remedy that is very effective in cleansing the entire body system. This helps in fighting infection as well as combating eczematous stress. Taking a cup of red clover tea or an equivalent of 500 milligrams of red clover thrice in a day produces very desirable results. Stinging Nettle: Stinging nettle ointment or cream acts as an astringent that promotes local circulation on application to an eczematous skin. Stinging nettle tincture or tea also helps in the types of eczema that is associated with poor toxin elimination through the kidneys and bowel. Witch Hazel: When used thrice in a day, witch hazel compresses or ointments are very effective due to their local astringent properties. Studies have demonstrated that Witch hazel leaf extracts are very effective in healing atopic dermatitis when applied on an eczematous skin. Turmeric Powder: Turmeric powder is also a very useful natural treatment for eczema. A table spoonful of the powder can be mixed with the same proportion of bitter neem leaves and made into a paste. This can then be applied on the eczema infected area. Papaya: Papaya is also another naturally and locally available ingredient that can be used for treating eczema. Mashing papaya seeds and applying them over the eczema infected area is very effective in reducing itchiness. A mixture of a half teaspoonful each of goldenseal root, pau díarco tincture in addition to eight drops each of chamomile essential oil and tea tree oil into two ounces of comfrey skin salve. This mixture should be applied on the affected eczematous area two times a day. One can also combine a quarter ounce each of red clover flowers, burdock, dried-heart ease and stinging nettle and an ounce each of fumitory and skullcap. Less than a steep of this mixture should be mixed in a pint of water to prepare tea thrice in a day. Such a mixture helps in cleansing the entire body system of toxins, soothes inflammations as well as calms jangled nerves. 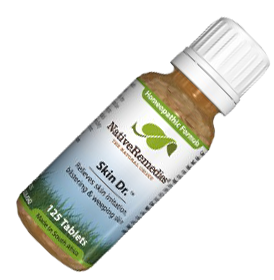 CLICK THE IMAGE OF THE BOTTLE BELOW to see all about Skin Dr. – Perfect for Eczema! Natural News also recommends aloe vera gel, especially that mixed with Vitamin E oil. Other than the above treatment options, there are some practices that can be observed that also act as home remedies for eczema. For instance, simply changing one’s laundry detergents, changing jobs as well as moving to more favorable climates are very effective if these conditions are identified as the causes of eczema. Despite your best efforts at home care, you may occasionally need to see a doctor. Get medical treatment right away if you think your skin is infected. Medical care may also be appropriate if your eczema is too severe for home remedies. The doctor may also prescribe topical ointments of varying strengths depending on the severity of the condition. Given that these ointments have side effects, it is important to consult a doctor prior to using them. In cases of severe eczema, the doctor may prescribe corticosteroids, which are available both orally and in topical form. These types of medication contain steroids, thus they should only be used under the supervision of a doctor, owing to the side effects associated with steroids. At the same time, these medications should not be used continuously, and are normally discontinued when the eczema symptoms abate. 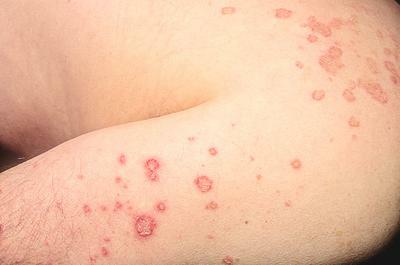 In cases where the symptoms of eczema cause serious infections, antibiotics maybe recommended. Eczema can rob a lot of the joy from your life, but you can take steps to take it back. Learn what your triggers are so you can avoid them. Figure out what steps you can take at home to reduce the frequency of your flare-ups and to treat them when they occur. And make sure you understand when it’s time to get medical treatment. Other than these, one should always prevent the skin from drying up by taking warm-not hot- showers rather than taking baths. One should then dry him or herself carefully and then apply skin moisturizers all over the body. Lotions that have fragrances should be avoided as these are some of the eczema causes. One should also avoid wearing rough, scratchy and tight fitting clothing. Scratching of eczematous rashes should be avoided and in case of difficulties in avoiding this, it is advisable to dress and cover the affected area. Avoiding strenuous exercises when one is having flare ups is also an important precaution as any activity that causes sweating only irritates the eczematous rashes. Probiotics are micro-organisms which have been nominated as an answer to eczema, however the method isn’t accepted worldwide. Discover the reasoning for the use of probiotics in treating eczema from dermatologist Dr. Raphael Darvish, M.D., M.B.A in this special video. Register with the every week news letter and have home remedy plus organic health books one supplied to your inbox every week scot-free!. 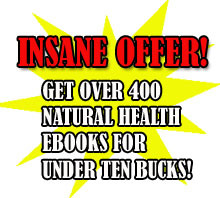 In case you buy my personalized book, “The Big Book of Home Remedies” you may in addition secure straightaway accessibility into our special members area which authorizes you to download and install any of our 410 and more natural health books totally free.